We are home of the $20 Service Call! Call now to schedule an appointment. We understand things happen to your home’s garage. Whether your garage has suffered from harsh conditions outside, or if your garage’s hardware has weakened from age, our garage door repair services will help you. Repairing a garage is dangerous work and must be handled by a professional team. All Four Seasons Garage Doors has trained technicians that have the proper equipment and knowledge to fix any garage door problem. With us you are sure to get superior quality garage door repair. If your garage door problem is an emergency, call us immediately. All Four Seasons Garage Doors prides itself in its customer service. Our team is available to help you with garage door repair at any time of need 24 hours a day. Call us, and we will be there to help in no time at all. You can trust us to get the job right, and right away. After all, our motto is “Big Enough to Serve, Small Enough to Care”. Most Affordable Service Calls for Garage Door Repair! 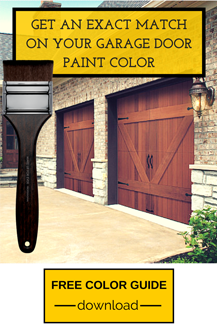 If your garage door needs a great deal of work, call us for a consultation and service call. All Four Seasons Garage Doors is home of the $20 Service Call – cheapest in town for all garage door repair services. We will estimate the costs to solve your problem and deliver a solution to fit your particular needs. We promise that our services are trustworthy – we are not like our competitors who pile on extra costs for our satisfaction. It is your satisfaction that matters! Investigative Reporter, Dale Cardwell, picks All Four Seasons Garage Doors to apply his Turstdale Certified Stamp. Take a look at our video on the home page and see why. We hope that you choose All Four Seasons Garage Doors to help you with your garage door repair. Our friendly technicians will treat you like family, and get the job done. We are only one call away, so call now for the most affordable service call in town. Call now for your expert garage door repair.